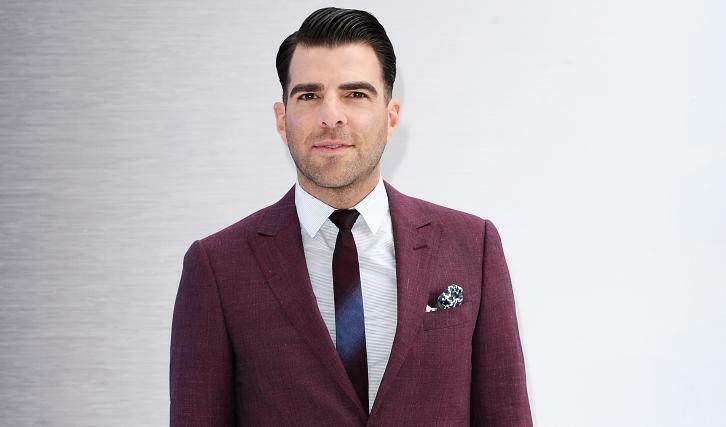 LOS ANGELES, CA - SEPTEMBER 13, 2018 - AMC has cast Emmy(R)-nominated actor and producer Zachary Quinto ("Star Trek," "American Horror Story") and rising star Ashleigh Cummings ("The Goldfinch," "Hounds of Love") in the lead roles for its new supernatural horror series "NOS4A2" (working title). The network also announced Emmy(R)-nominated director Kari Skogland ("The Handmaid's Tale," "Sons of Liberty") will direct the first two episodes of the series based on Joe Hill's bestselling novel of the same name. Production began this week in Rhode Island. The 10 one-hour episodes are slated to premiere in 2019. Quinto will play Charlie Manx, a seductive immortal who feeds off the souls of children, then deposits what remains of them into Christmasland - an icy, twisted Christmas village of Manx's imagination where every day is Christmas Day and unhappiness is against the law. Manx finds his whole world threatened when a young woman in New England (Cummings) discovers she has a dangerous gift. Executive producer and showrunner, Jami O'Brien said, "As a huge fan of Joe Hill's rich, imaginative, and exciting book, I am over the moon to be working with such a phenomenal cast and creative team on this special project." "NOS4A2" is produced by AMC Studios in association with Tornante Television. The series is executive produced by Joe Hill, Jami O'Brien ("Fear The Walking Dead," "Hell On Wheels"), who created the show for television and will serve as showrunner, and Lauren Corrao, Co-President of Tornante Television. The cast also includes the previously announced Olafur Darri Olafsson ("Lady Dynamite") as Bing Partridge, Virginia Kull ("The Looming Tower") as Linda McQueen, Ebon Moss-Bachrach ("The Punisher") as Chris McQueen and Jahkara Smith (aka Sailor J) as Maggie Leigh.